General Tire Mint 400 Winner “Ballistic” BJ Baldwin will be signing autographs and greeting fans in the General Tire Booth on Saturday, October 8, from 2:30 – 3:30 p.m. Baldwin has won more than his share of races including the 2011 General Tire SNORE Mint 400, Unlimited Truck, SCORE Laughlin Desert Challenge and more. He is often celebrated as one of the greatest off-road racers of his time. Professional Freestyle Motocross Rider and Founding Member of Metal Mulisha Brian Deegan will sign autographs and greet fans on Saturday, October 8, from 1:30 – 2:30 p.m. in the MAXXIS display. 2011 Lucas Oil Driver of the Year, Deegan is the most decorated freestyle motocross rider in the history, the only athlete to compete in every X Games since it began, has a total of 13 X Games medals and just won GOLD at X Games 17 in RallyCross – his first gold on 4-wheels. One of the best off-road drivers ever, Walker Evans, has amassed 142 victories and 21 championship titles during his 30-plus year career, including winning the Baja 1000 nine times, the Mint 400, the Parker 400 and more. Evans will be signing autographs and greeting fans on Saturday, October 8 and Sunday, October 9, from 12:30 – 1:30 p.m.
Rock Racing Legend Shannon Campbell will sign autographs and greet fans on Saturday, October 8, from 10:30 – 11:30 a.m. and Sunday, October 9, from 1:30 – 2:30 p.m., in the Currie display. Campbell has won multiple W.E Rock Championships in the Western and Eastern series and in Japan in 2011. He is the only driver to ever sweep the XORRA series and win the Ultra4 King of the Hammers twice. 2009 DirtSports Magazine Short Course Driver of the Year Carl Renezeder will sing autographs and greet fans. Renezeder holds 96 short course wins and is a seven time National Champion taking both the Pro-2 and Pro-4 Championships at Lucas Oil Off Road Series in 2009. Rikki Rocket, drummer for the band Poison, will sign autographs in the Poison Spyder booth on Sunday, October 9, from 11 – 11:30 a.m. Rocket is still going strong having recently completed a major tour co-headlining with Motley Crue. He also owns and manages Rockett Drum Works and is a lifelong gearhead and an avid off-roader. 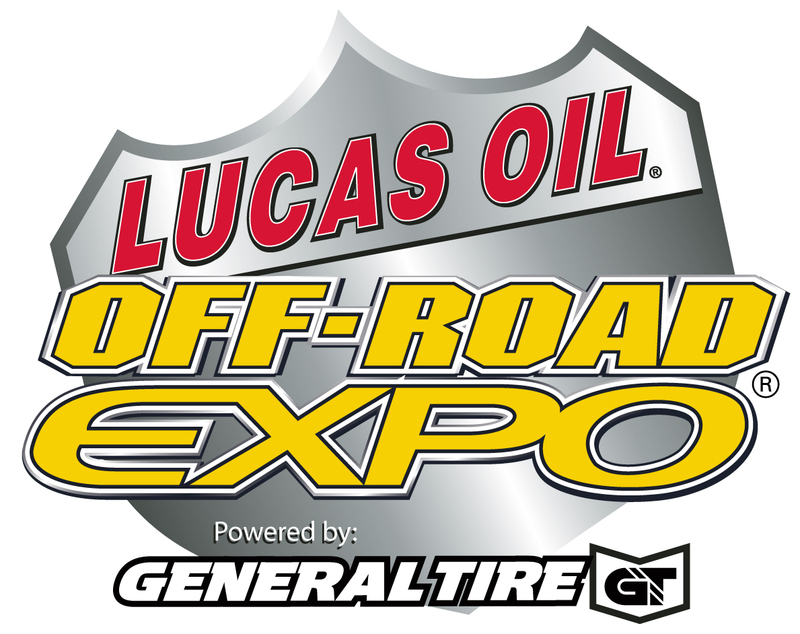 The 2011 Lucas Oil Off-Road Expo powered by General Tire will invade the Pomona Fairplex with everything off-road including new vehicles, thousands of parts and accessories, ATV test rides, freestyle motocross action, movie premieres, RC Racing and more. This year’s expo is bigger than ever with more exhibitors showcasing all the latest off-road toys, technologies, parts, gear and accessories from more than 350 of the industry’s leading manufacturers, dealers and distributors. The 2011 Lucas Oil Off-Road Expo powered by General Tire will take place Saturday, October 8, from 9 a.m. – 6 p.m. and Sunday, October 9, from 9 a.m. – 5 p.m. Held at the Pomona Fairplex, located at 1101 W. McKinley Avenue in Pomona, Calif. Tickets purchased on-site will be $12 for adults, $5 for children (6-12) and free for children under six. A Family Four Pack is available for $20 and includes admission for two adults, and two children (available online only). For more information and to purchase advance tickets, visit www.offroadexpo.com. Follow Off-Road Expo at www.facebook.com/OffRoadExpo and at www.twitter.com/OffRoadExpo.